A short interview with [the best US voice actor ever] Steve Blum. 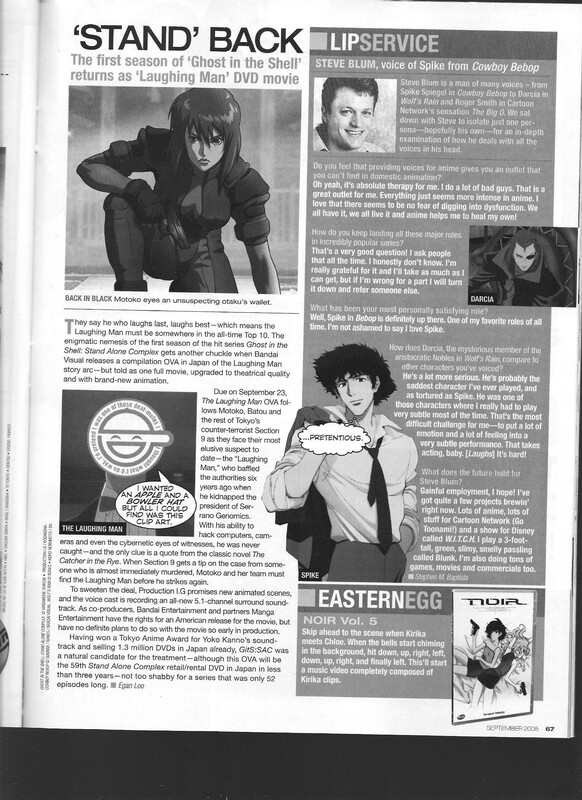 This entry was posted in Old Magazine Articles and tagged Anime, Borderline Plagarism for the Freedom of Information, Steve Blum, Voice Actors by torisunanohokori. Bookmark the permalink.